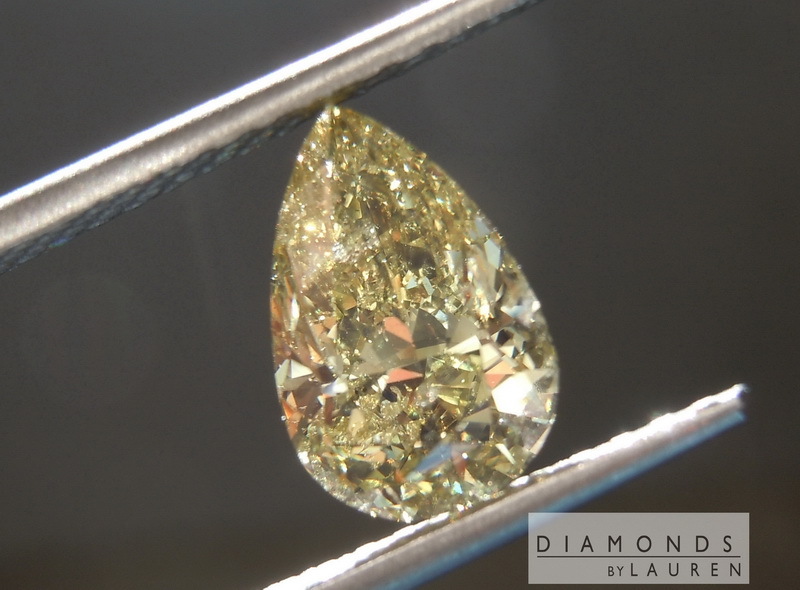 Here is a super cool chameleon Diamond. 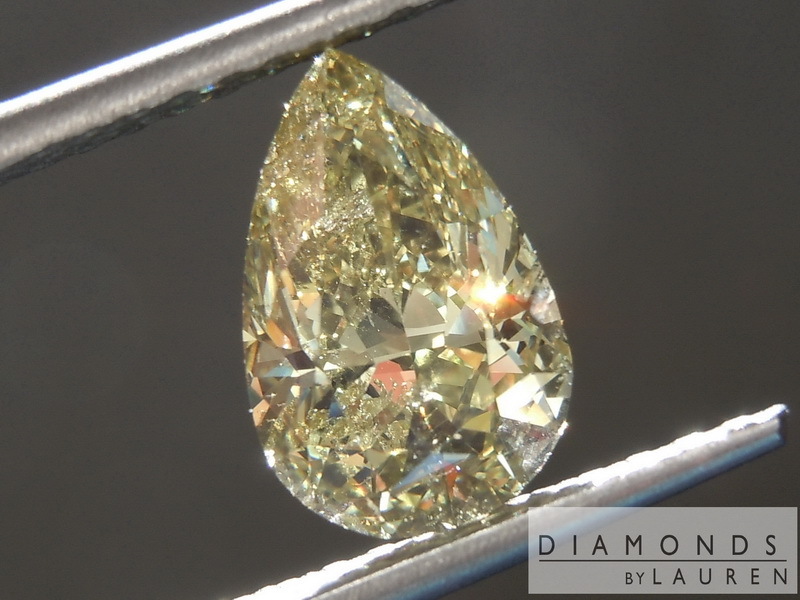 The color change goes like this: if you put the diamond in the dark for eight hours, when you first take it out you will notice quite a bit of green. As it warms and reacts to daylight, you will see more and more yellow. 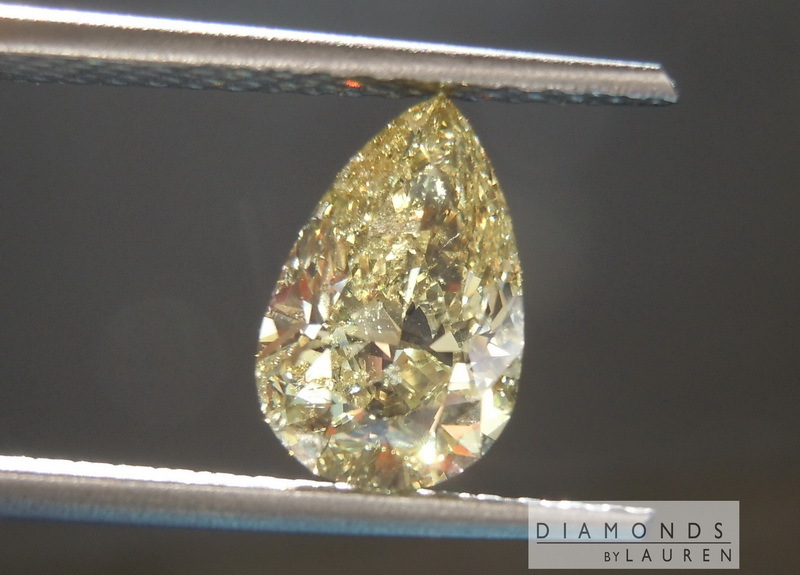 If you heat the diamond up, it will likely show an orange yellow. 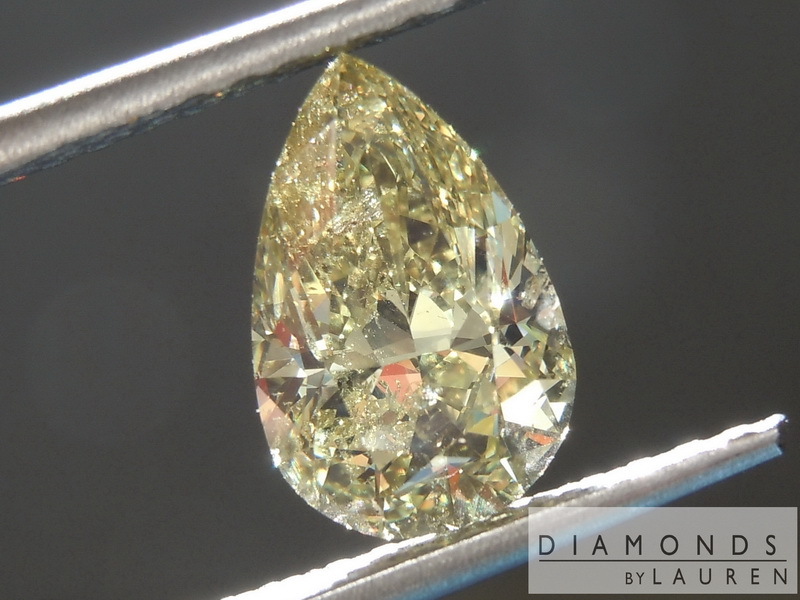 Overall, the color is quite attractive – I love a diamond that shows green like this one. 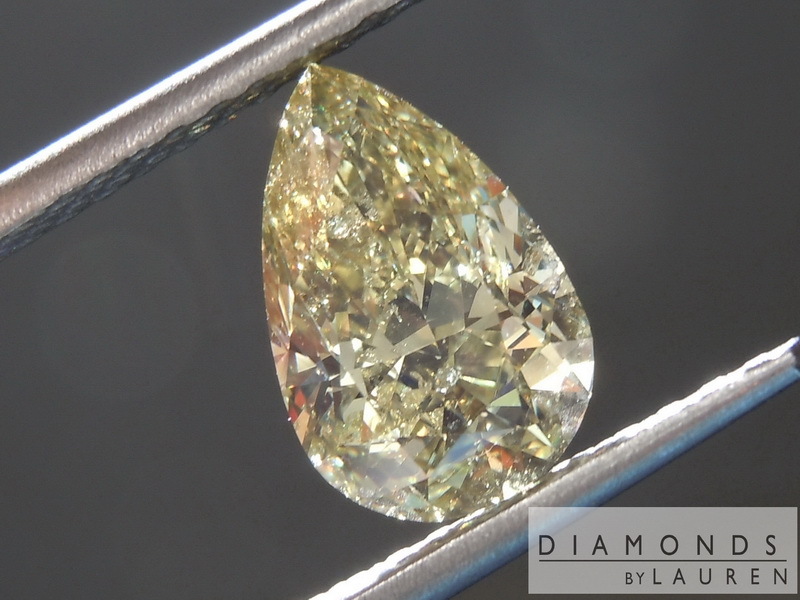 The stone also exhibits great brilliance, despite the impressive depth of color. 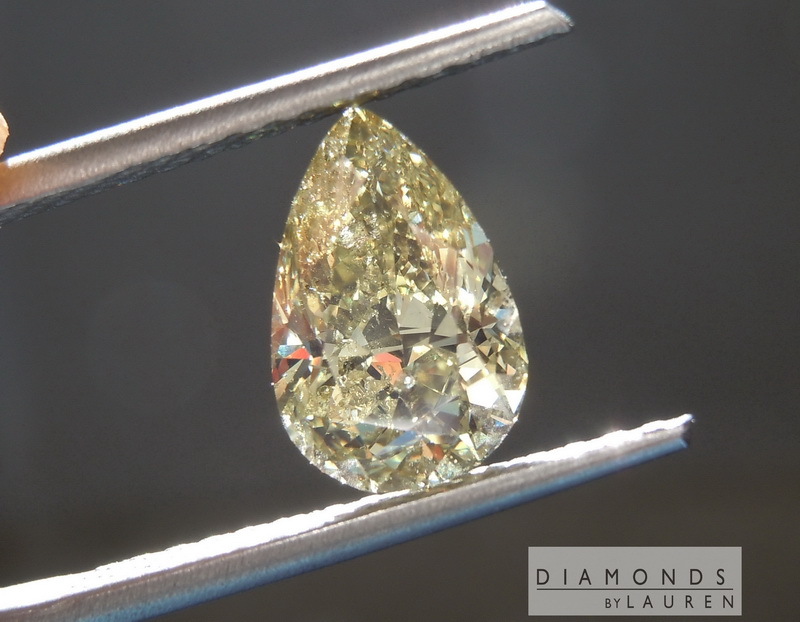 Shape: when we are looking at a pear-shaped diamond, each of us has our own impression of what's the best. I like the proportions of this one gracefully tall but not overly tall. 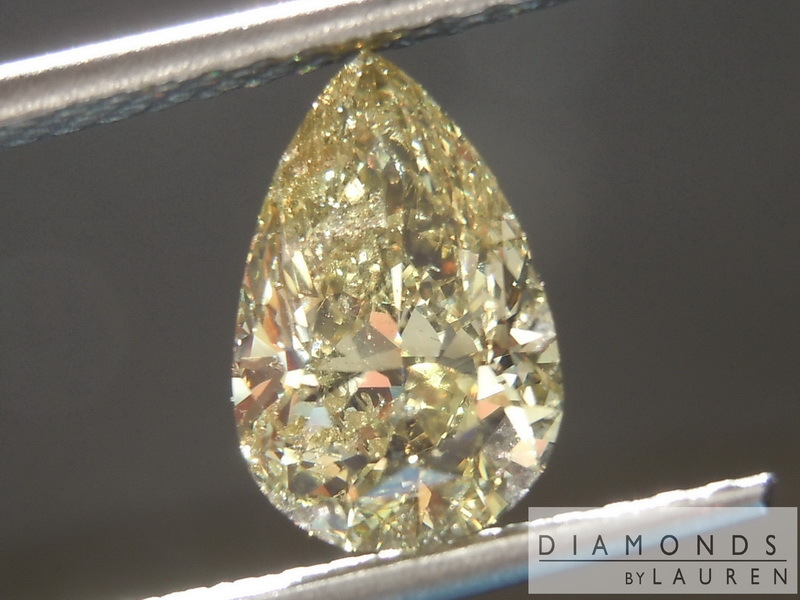 In terms of the light performance, (the way the diamond sparkles): it's almost like it has a "reversed bowtie" – the center of the stone flashes of light a bright white – you get more color at the tip and rounded top. The stone is and SI2 clarity. 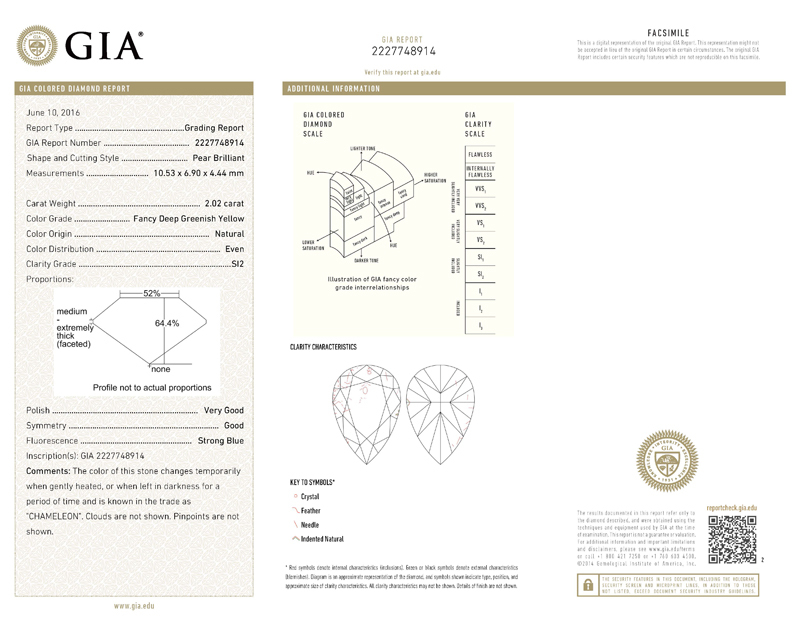 This is another case where there is a small imperfection at the edge – and it reflects over into the opposite quadrant of the diamond. The good thing is that this looks much worse in the picture is that it does in real life, where the diamond really does not show the imperfection because there's a lot of color in these areas. Beautifully unusual diamond as chameleons are not all that common.